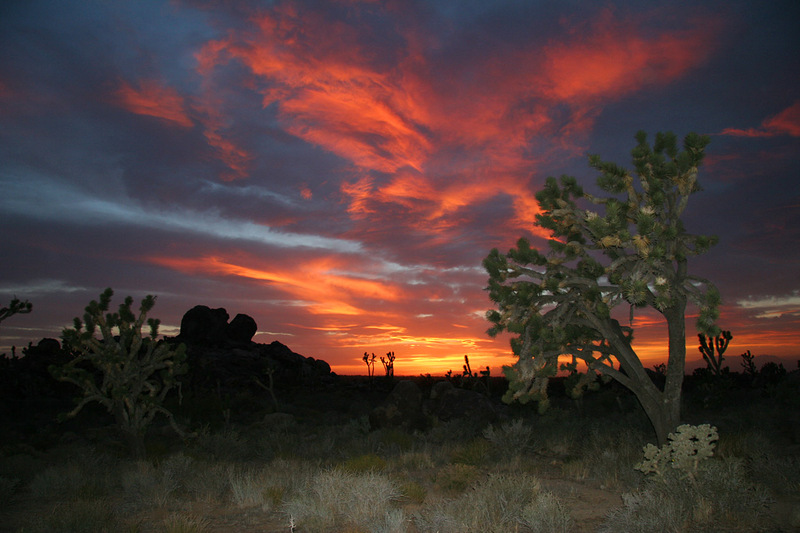 The desert woodland around a unique geological feature called Cima Dome lies at approximately 5000 feet elevation and has the highest concentrations of Joshua trees in the world. some image processing and a lot of much needed sleep. begin to stir from their underground dens. 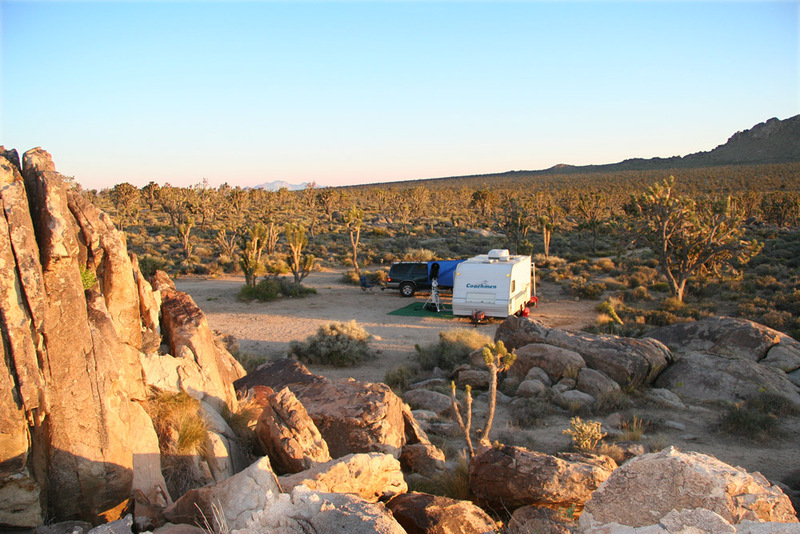 particularly when the lengthening shadows of late afternoon provide a high degree of contrast to this angular landscape. 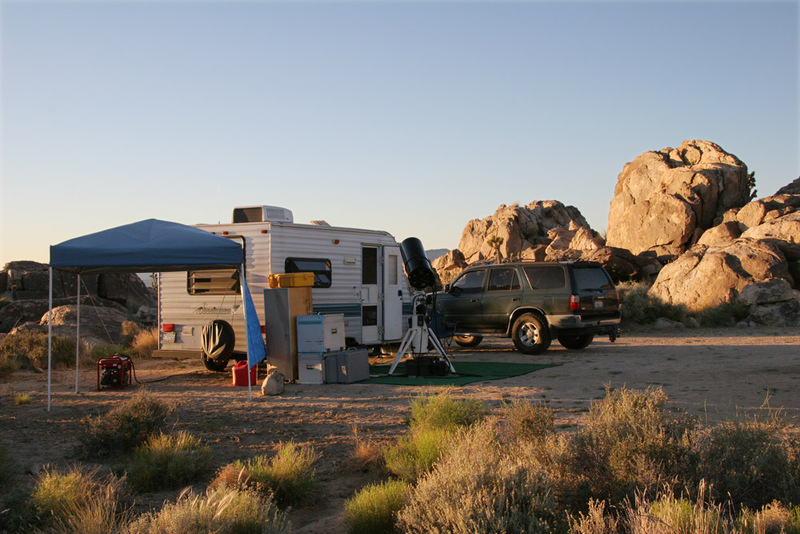 Part of the desert experience for me is capturing images of the native wildlife. 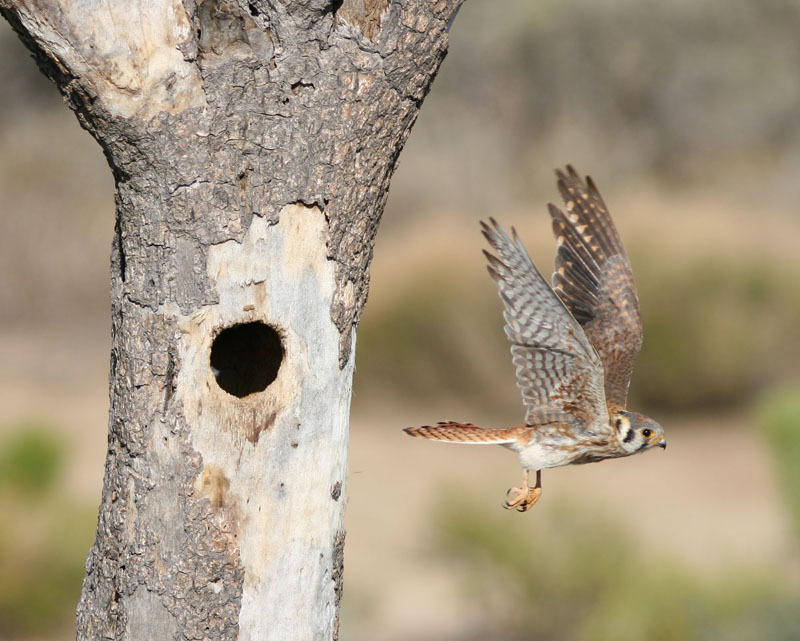 Here an American Kestrel is seen leaving its nest high in a Joshua tree. 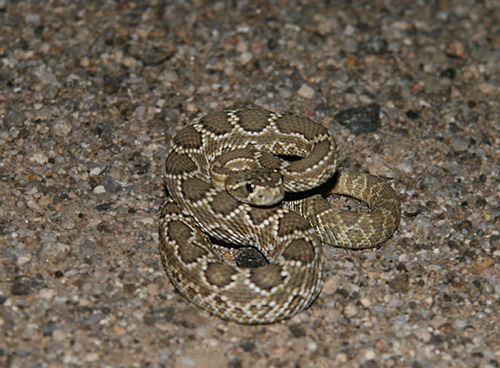 All wildlife images on this page were taken with a Canon 20D and Canon 300mm f/4 L telephoto lens. Cottontail and Blacktail jackrabbit are prolific breeders and can be seen most everywhere during all times of the day. 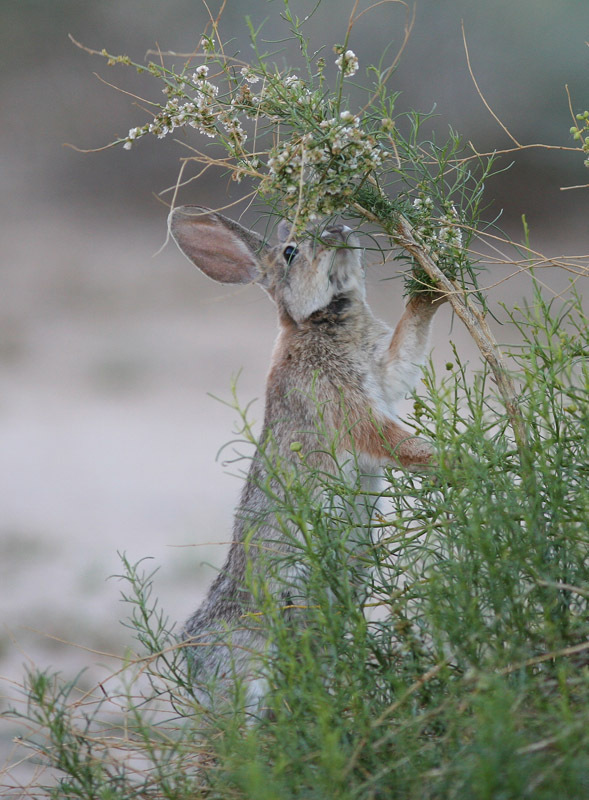 The Cottontail seen here is standing on its hind legs and pulling down a branch to reach the tender young shoots and flowers of a desert bush. 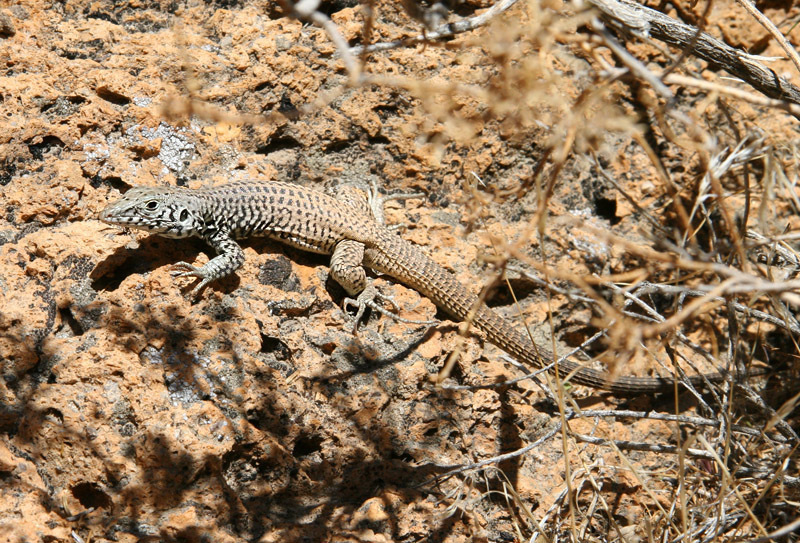 The Whiptail lizard is a voracious hunter active during the daylight hours searching for its prey of small insects. Ever wary, it's quite hard to get close to these reptiles, so a telephoto lens is the best way to capture them in their native environment. prey includes everything from rodents to rattlesnakes. 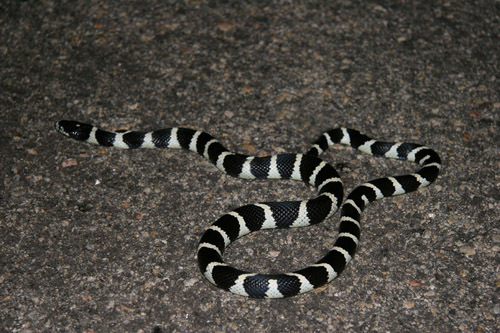 similar to the neurotoxin found in cobras.